Wouldn’t it be wonderful if you didn’t have to worry about paying for bills or having enough money to go out to the pubs on the weekend? Whenever there’s a major National Lottery jackpot, people ask themselves what they would do if they won millions of quid. If you won the lottery would you continue your studies or pursue another passion? Several students have won huge sums of money and have had to answer that very question for themselves. Kerri Cartwright – Kerri was a 28-year-old single mom and part-time student at James Watt College near Glasgow when she won £2.5 million in a National Lottery draw in January 2007. She actually found out she won while she was in the college canteen! After winning, she took three months off from her coursework, but after her break she went back to school and finished her course in administration and IT. She said she doesn’t like to leave things unfinished and is glad she went back to school. After the course, she pursued her passion for photography and started her own business. Ianthe Fullagar – Ianthe, from Ravenglass, Cumbria, was about to start her law degree when she bought a EuroMillions ticket worth £7 million in September 2008. If all lottery winners followed Ianthe’s lead, they would be extra fortunate. Right away, she said that giving up her dreams of having her own law practice one day just because she became an instant millionaire was nonsense. Rather than spending the money on lavish items like many winners, she invested most of the winnings and is now one of the UK’s richest people. The MIT Syndicate – Some of the United States’ best mathematical minds come out of MIT, the Massachusetts Institute of Technology. While the odds of winning the lottery is incredibly low, a group of maths geniuses cracked the Massachusetts Lottery’s code and formed an unbeatable syndicate in the early 2000s. A lottery syndicate is a group of players that pool together resources and buy a large number of lottery tickets and then split any winnings according to how many shares they each own. While a lottery syndicate is by no means a guaranteed recipe for lottery success, it does increase the odds versus buying single tickets. The MIT Syndicate realized that one of the state lotteries – Cash WinFall – was the most lucrative lottery game because of a mathematical quirk in which the jackpot was split into smaller prizes on certain days of the month if no ticket matched all the winning numbers. The students bought into the lottery during these days and by 2005, they had amassed $8 million in prize money. The syndicate was not illegal and the Massachusetts Lottery knew what was going on long before the story hit the media, however the syndicate was put to a stop in 2012 when the Massachusetts state treasurer ended Cash WinFall altogether. There is no specific information about the career paths of the MIT Syndicate members, but they definitely proved that paying attention in mathematics class pays off. 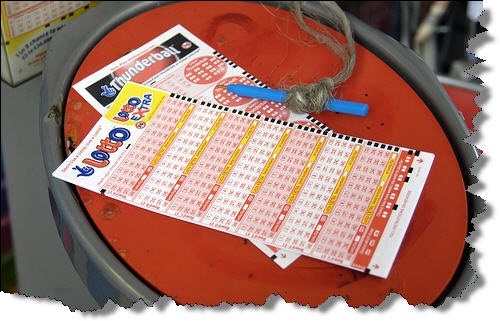 If you’d like the benefit of a lottery syndicate without all the hassle of crunching the numbers yourself, you can join a syndicate online at sites like theLotter.com, which organizes syndicates for the world’s top lotteries, including the American giants Powerball and Mega Millions. Just like the MIT students made money from their local lottery, maybe you will make a fortune playing US Powerball! Voltaire and the Era of Lottery Enlightment – Ok, so maybe Voltaire wasn’t exactly a student, but if it hadn’t been for the lottery, we wouldn’t be able to study his writings in university. Voltaire was heading toward a lifetime of poverty when he met a brilliant mathematician named Charles Marie de la Condamine. De la Condamine proposed a lottery syndicate, just as the MIT group would do nearly 300 years later. The two great men, along with wealthy patrons, bought up numerous and inexpensive French bonds which got them tickets into the lottery of the day. Before the authorities finally caught on and stopped the lottery, Voltaire made about 500,000 livres which was enough to pursue literature and philosophy for the rest of his life. If you have a few quid lying around and want to entertain your dreams of winning millions, then buying a lottery ticket can be a fun, no-fuss activity. And if you do end up beating the odds and become a lottery millionaire, we’d advise you to stay in school and invest your time and money properly! What If My Boyfriend Really Does Have a Drinking Problem?